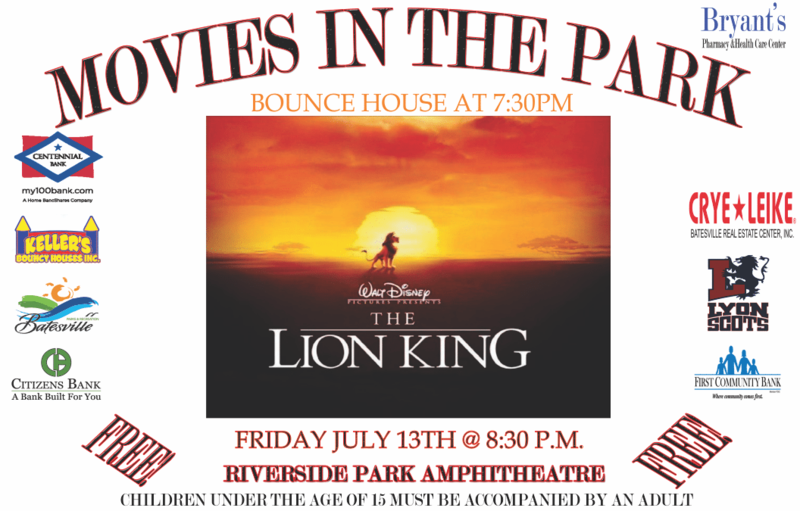 The Batesville Parks and Recreation Department is offering a FREE viewing of The Lion King for the next Movie in the Park at Riverside Park Amphitheatre. Join us Friday, July 13th, for the third Movie in the Park event of the year. Batesville Parks and Recreation will be showing Disney’s The Lion King at the Riverside Park Amphitheatre. The event is free to the public and is part of a series we offer annually. We will have food to purchase from vendors on site and will also have a bounce house set up an hour before showtime. The bounce house will be available at 7:30 P.M with showtime at 8:30 P.M. Bring a blanket or a lawn chair and enjoy the show! In the event of inclement weather, the movie will be moved to the Community Center Gymnasium. 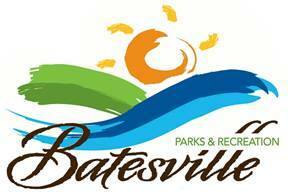 Follow Batesville Parks and Recreation on Facebook for updates and vote for upcoming movies to show. 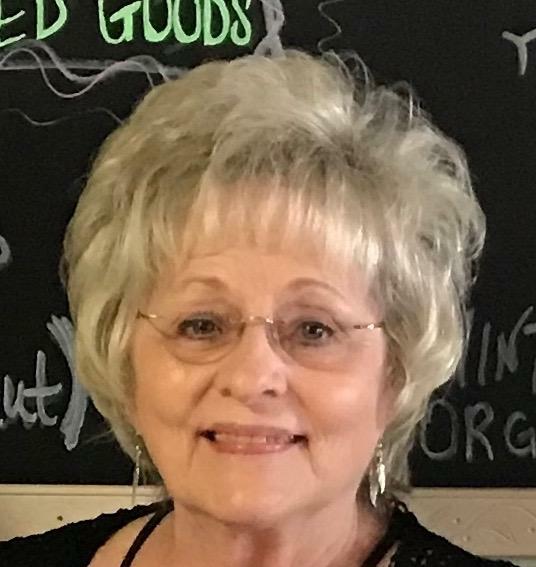 We’d like to thank the following community sponsors like First Community Bank, Bryant’s Pharmacy, Keller’s Bouncy Houses, Citizens Bank, Lyon College, Centennial Bank, and Crye Leike Batesville Real Estate Center, for making it possible to provide the show at no cost!